Cream and navy fabric lampshade. The Knightsbridge made with a chintz cream fabric with a very soft floral theme. The top and scalloped edging is decorated with a navy braid. 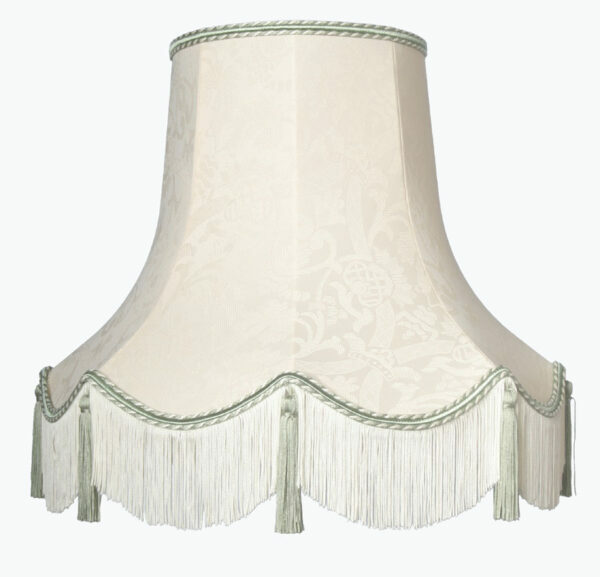 The deep fringe finishes the traditional style with a contrast navy tassel. Please see further image for braid colour options. (The image illustrates ivory and green).